Rich Dad Poor Dad. Format: PDF ePub Mobi. As always, readers can expect that Robert will be candid, insightful. and continue to rock more than a few boats in his retrospective. You have full and unlimited access to both ; you can read, listen or download them. By Brene Brown. Dare to Lead. 47 High-Quality MP3 audio files. (Not a physical CD). Organizedin order from start to finish. Total size: 436MB. We will send you audio book download link. Release date: 02-07-19. 1 - Harry Potter and the Philosophers Stone (UK/Stephen Fry). 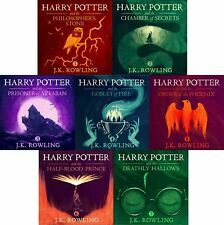 Harry Potter Audiobooks 1 - 7. All 7 books read by Stephen Fry. 2 - Harry Potter and the Chamber of Secrets. 4 - Harry Potter and the Goblet of Fire. The 4-Hour Workweek: Escape 9-5, Live Anywhere, and Join the New Rich by Timothy Ferriss. THIS IS AN AUDIOBOOK. NEW Digital Download! For living more and working less, this book is the blueprint. She scripted several Conan Doyle stories and took them around. NBC liked them, but had no sponsor ready. Beginning in the early 1930's, she single-handed wrote the show for over a dozen years, first working from the Conan Doyle canon, and then continuing to create stories in the spirit of the originals. Unabridged Audiobook. By: Jon Kabat-Zinn Ph.D. Narrated by: Jon Kabat-Zinn. Length: 55 mins. The 5AM Club - Own Your Morning. By: Robin Sharma. FILES FORMAT - MP3. Peace of mind. This is a digital MP3 audio file not a physical CD. By: G.K. Chesterton. Gilbert Keith Chesterton was a prolific writer on many topics. A Short History of England. It is provided in MP3 format on CD-R for playing on PC Windows or Mac OS, MP3 compatible CD players and most DVD players. 1x Bible Audio Player. 1x Audio Bible Guide. Item: Bible Audio Player. 1x User Manual. Version: English. No background music,Soft feelings and sounds.Built-in loud speaker. Chapter appendices and Manuals are available. Mindfulness for All: The Wisdom to Transform the World. Unabridged Audiobook. By: Jon Kabat-Zinn. Narrated by: Jon Kabat-Zinn. Length: 5 hrs and 37 mins. The Hitchhiker's Guide to the Galaxy. The Hitchhiker's Guide to the Galaxy (1978). of episodes and passages from The Hitchhiker's Guide to the Galaxy. in a new series of The Hitchhiker's Guide To The Galaxy, The Hexagonal Phase. STEPHEN FRY EXPLORES THE HIGHWAYS & BYWAYS OF THE ENGLISH LANGUAGE IN. FRY'S ENGLISH DELIGHT. The Quiche of Death & The Vicious Vet an Agatha Raisin mystery (unabridged). has beenTESTED & WORKS GREAT ! Vertonung des 34. John Sinclair Gespenster-Krimis "Die Todesgondel" aus dem Jahre 1976 von Jason Dark ! Neue CD von Lübbe Audio Oktober 2018 - John Sinclair Classics Reihe - die CD ist noch eingeschweißt, aber die Plastikbox ist vorne etwas gesprungen ! Das Hörbuch wurde nur einmal angehört, somit so gut wie neu. >Kuzneski hat die rohe Energie des frühen Stephen King. Arcanum ist ein überaus gelungenes Hörbuch mit einigen Parallelen zu Dan Browns Da Vinci Code. Jürgen Todenhöfer. Autor: Jürgen Todenhöfer. Die große Heuchelei. Erscheinungsjahr: 2019. Gewicht: 97 g. von diesem Verlag. Sprache: Deutsch. Dark Tower: The Gunslinger Bk. 1 by Stephen King (2003, CD, Unabridged). How The Crusades Changed History. As you’ll learn with this course, these and other truths about the Crusades demonstrate that, rather than being grand wars, many of these military campaigns were tangled misadventures. Mr. and Mrs. North areamateur detectives. Mr. and Mrs. North was a radio mystery series that aired on CBS from 1942 to 1954. Alice Frost and Joseph Curtin had the title roles when the series began in 1942. Greg Rucka PERFECT DARK Initial Vector Unabridged Audio 10 HRs 8 CDs Joanna Dark. Condition is Like New. Shipped with USPS Media Mail. It would turn out to be McGoohan's last in-depth interview regarding the series. The Prisoner TV series. Doctor Who sound man Mark Ayres, the audio quality of this CD is very variable and reflects the circumstances in which the recording was made. 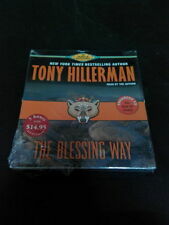 Up for grabs is this doublecassette abridged audio book by Terry Brooks. Cassette Tape. AUDIO BOOKS. Sound Effects / Spoken Word / Sport. MUSIC CASSETTE TAPES. MUSIC DVDs. Par Ohmsford travels the Southlands with his brother Coll, he is troubled by dreams of Allanon the Druid, long dead. Up for grabs is this doublecassette abridged audio book both written and read by David Almond. Issued by Hodder Headline, the catalogue number isH322241 and the date of issue is 1999. Cassette Tape. Up for grabs is this doublecassette audio book by by Ernest Bramah and Berkeley Gray. Entitled Thriller Playhouse No.1 - The Eyes Of Max Carrados / Killer Conquest, these are BBC Radio 4 full-cast dramatisations; the first stars Simon Callow and Lionel Jeffries and the second stars Christopher Cazenove, Bonnie Langford and Richard Davies. Item has minimal traces of use. item has minor traces of use. ☆ ☆ ☆ ☆ Acceptable condition /. item has severe signs of use. 🇩🇪AB 4 YEARS | not suitable for children under 36 months due to small parts choking hazard. 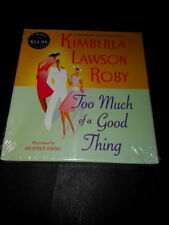 Up for grabs is this doublecassette audio book entitled Have You Heard The One About?. - The Best Of Brian Johnston, Dickie Bird, Jon Pertwee, Brian Blessed, Ned Sherrin. Or the one about Brian Johnston when he joined the Grenadier Guards?. Item has minimal traces of use. item has minor traces of use. ☆ ☆ ☆ ☆ Acceptable condition /. item has severe signs of use. TRADEMARKS | TRADEMARK. Up for grabs is this doublecassette abridged audio book by George & Weedon Grossmith. Issued by Castle, the catalogue number isCSW MC 212 and the date of issue is 1994. Cassette Tape. AUDIO BOOKS. Sound Effects / Spoken Word / Sport. 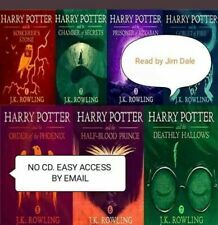 Up for grabs is this sixcassette unabridged audio book by J.K. Rowling. Entitled Harry Potter & The Chamber Of Secrets, this is the second in the series and is the adult cover edition (see pic). Soul / Funk / R&B / Disco / Rap. Tkkg Radioplay CD 1 Pieces Follow 141 „Todesbiss of the Black Mamba "